This is a baby Python. Shot this at Bharatpur.The species is non venomous. MARVELLOUS shot, Madhu ! 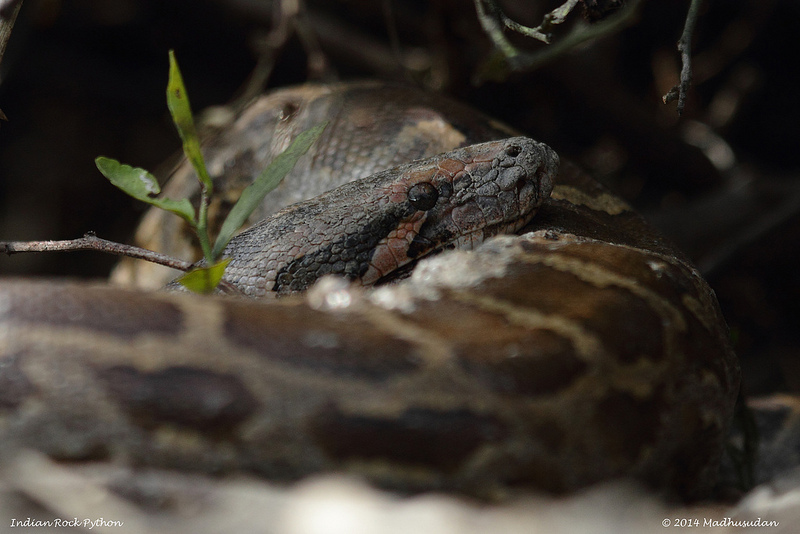 I think snakes are wonderful – and surely pythons are rarely venomous? Don’t they squash their prey? The vipers are the one genus I really don’t like: not only because they’re so mad and dangerous, but they’re so UGLY! Snakes shouldn’t be ugly: by and large they’re beautiful!